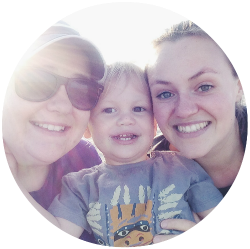 I love finding activities we can do as a family, not just places we can go and see, but things we can actively do together. 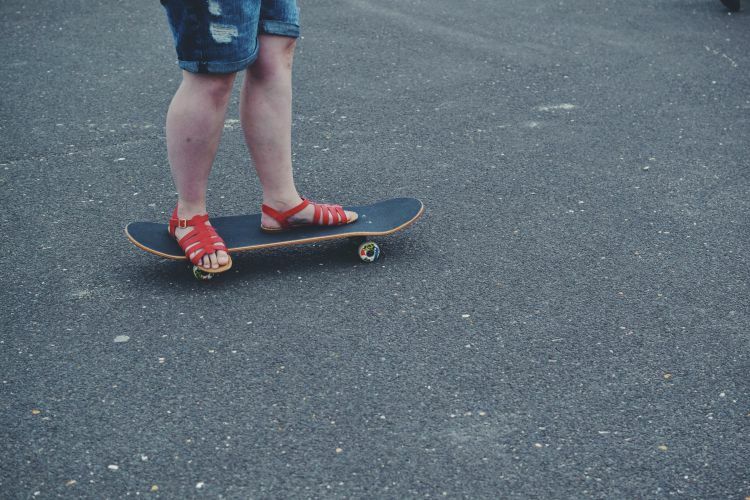 Learning to skateboard has been a desire of mine since I was a child, though it was something I never mastered. 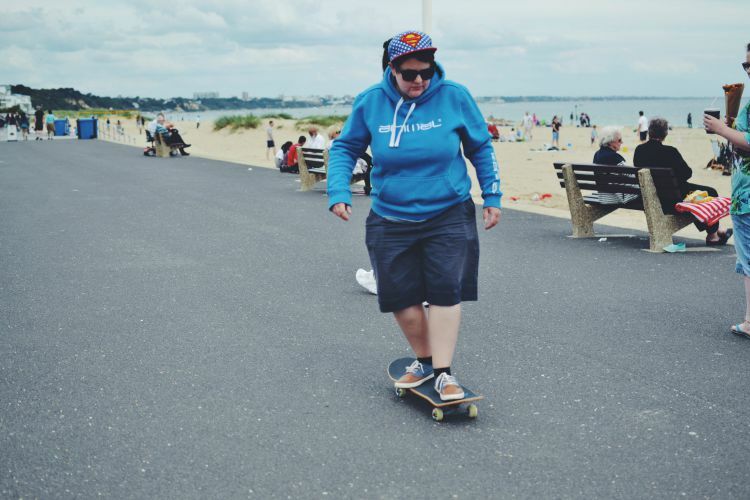 In the year before I turned 30 I ticked off a things before I’m 30 list and learning to skateboard was on there. I mastered staying upright on it, but I never really managed to do anything you could specifically call skateboarding. More like push and standing. Which brings me to 2015, I’m 33 now and determined to master the skateboard. 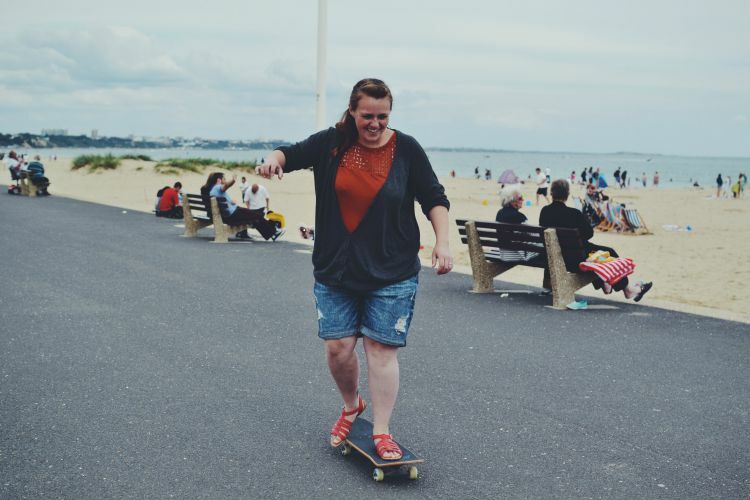 I’m not saying I want to be the next Tony Hawks, but I do want to be able to skate along the coast with some confidence and enough speed to feel the wind in my hair. With some encouragement I got Clara on board (get it) and asked M if he’d like to learn too. 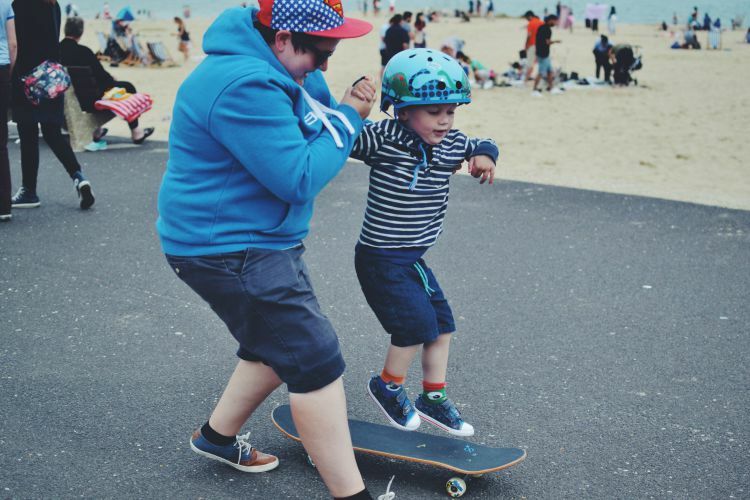 Which is why our newest family activity is skateboarding practice whenever we find somewhere flat and safe to skate. The little dude has taken the whole thing in his stride. He can stand on the board and keep his balance as we give him a little push to start, but he hasn’t quite mastered the foot on ground push off, yet. 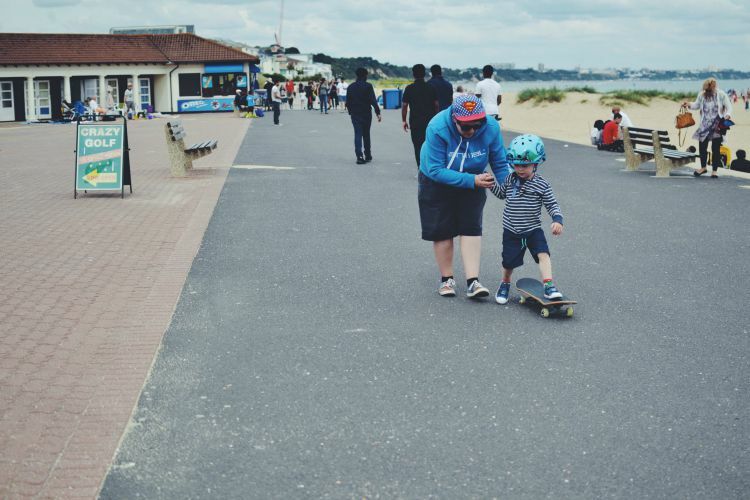 His sense of adventure is highly motivating and has totally inspired me to push and practice until I can skate with no fears. Clara has also taken to the skateboard faster than I imagined she would. 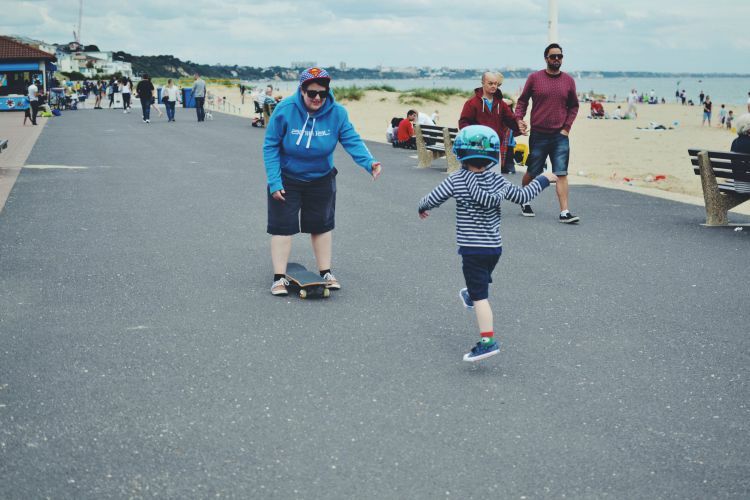 She has always said she had no desire to skateboard, but as soon as she realised she could push off and stand on the board without falling off, she’s decided that she isn’t stopping until she has mastered it too. I really think she needs her own board as I’ve started to have desires to skate hand in hand with my wife, the surf and sand on one side our little monkey on the other. My experience with skateboarding has been very positive. I have improved a huge amount since my last attempt a few years ago, it must be all that skateboarding in my dreams that does it. I seem to have lost my fear of falling and in turn feel a lot more relaxed on the board. Little tip, being relaxed actually helps you not fall. I’m currently on a mini break from the board due to my operation, but already I can’t wait to get back on and practice. Can you skateboard? Any tips? M is such a dude. Not at all surprised he’s a skateboard fan too!